A professional web design doesn't have to be complicated or expensive. Save yourself the frustration of doing it yourself with WIX or WordPress. And don't pay the thousands that most Boston web design firms charge. Professional web design, hosting, support...and maybe some SEO. Your new website will showcase your services and people, boost your reputation, and impress everyone. Hosting keeps your website running 24x7. And we handle any issues - no dealing with foreign customer support. With our support, you can make simple text changes on your own. We'll handle the rest, usually within minutes. Driving new business your way is all about better Google rankings. We'll help get you on the first page. A few examples of clients we've recently helped. 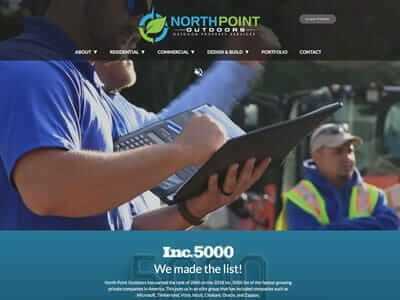 North Point needed a professional to handle their website so that they could focus on the day-to-day operation of their rapidly-growing company. 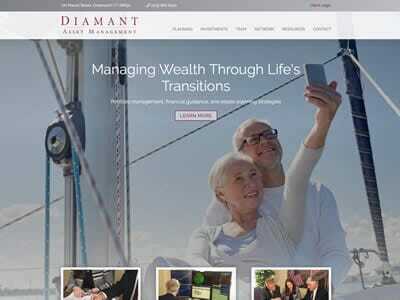 Diamant wanted a complete makeover of a very dated web presence. They had an idea of what they wanted, but needed someone to implement the solution and stay with them for ongoing support. 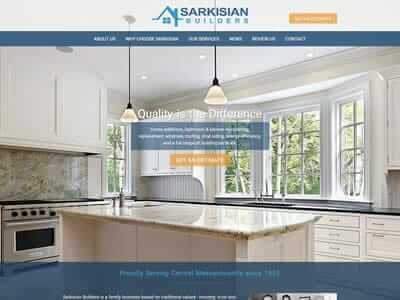 Sarkisian is a long-standing family business with a stellar reputation. They knew they needed a strong website to grow, but without losing their familiar local feel. Ongoing support and help with online marketing was key. "Love your service. Never have a complaint. We really don't know what we'd do without you guys. You rock!" "Your service and support is outstanding, just as it was when we first came aboard years ago. So glad we found you!" "You made this possible - my imagination, images & thoughts swirling in my head for years, you managed to capture in this website. We will live up to the caliber of this site!" "I absolutely love my site - it has surpassed any expectation I had for it. And thank you for your patience with a not so savvy computer person!"